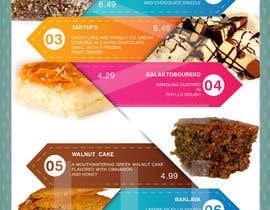 I would like a colorful dessert menu for my Greek Restaurant. 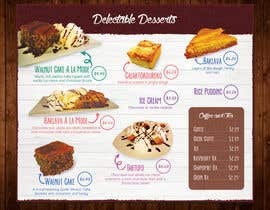 The menu should include pics of each dessert I have submitted pictures for. 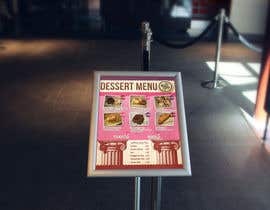 This menu will go on a tabletop and will be a laminated sheet. I am not sure what size would be best, but please make whatever size best suits your design. 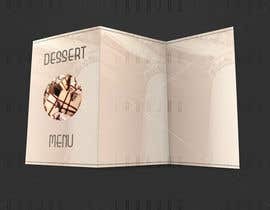 I have included a text file for the menu as well as pictures of several desserts. Sorry, I received an entry which I thought was perfect and the designer performed all the edits I requested in a timely fashion. 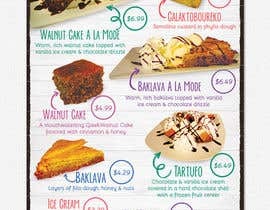 You provide pictures of walnut cakes, yet there is no walnut cake in the menu. 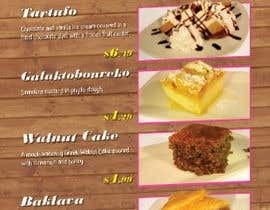 There are 7 desserts in the menu, You provided pictures for the first 4 plus 2 which are not in the menu. 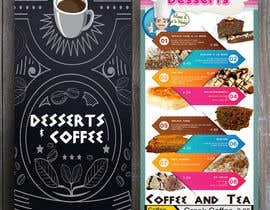 Missing pictures for Kataifi, Rice Pudding and Ice Cream. Also, any desserts missing pictures can go without pictures. Thank you for the clarification. I will provide a design in the next 24 hours. Any particular colors you want? Hello! Thanks for the invitation. Working on a menu ASAP. Sorry about that. It did not accept my zip file. They are there now.